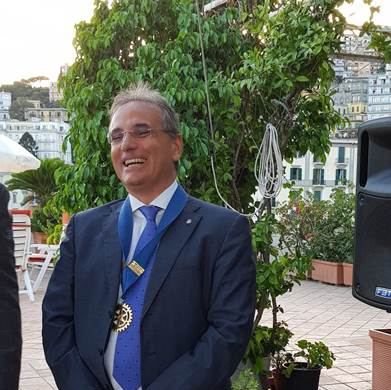 Rotary e-club Italy South - F.A.Q. How many Rotary e-Club may exist in a single District? 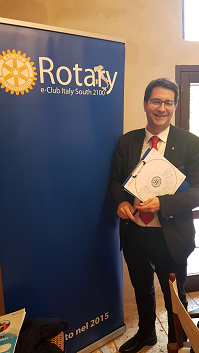 Il Consiglio di Legislazione del 2110, approvando in via definitiva i Rotary eClub, aveva stabilito che in ogni Distretto non potessero esserci più di due eClub, ma il Consiglio di Legislazione del 2013 ha eliminato questo limite. The 2110 Council on Legislation recognized Rotary e-Clubs as part of the Rotary International. It determined that in each district there should be no more than two e-Club, However the council of 2013 removed this limitation. What is the difference between a traditional Rotary Club and a Rotary e-Club? Rotary e-clubs follow the same policies as all traditional Rotary clubs: weekly meetings, perform service projects in local and international communities, support The Rotary Foundation, and enjoy fellowship among members. The key difference is that an e-Club conducts weekly meetings on it’s website: Rather than being physically present at an appointed day and time, members may attend meetings at any time and day of the week in their e-Club’s House accessible 24 hours a day, 7 days a week. How do the institutional visits take place ? The District Governor and the Assistant District Governor each have a "key to the Clubhouse door" with their own user name and password for access at any time. They can enter the meeting room, post interventions and interact with the members and managers of the e-Club. They may also carry out visits by videoconferences. How can I carry out service projects? The e-Club focuses its efforts on a specific geographical area with projects for local communities where it’s members live, who may attend in person and promote the international launching of projects or partnerships with other Rotary clubs around the world . As they are in contact with each other shareholders? Contact between the members is not limited to the weekly meetings, during the week there is a continuous exchange of emails, phone calls and even Skype conversations in order to update members of the activities of the Rotary or to request assistance from members for Rotary projects. The e-Clubhouse is the access point to Rotary meetings; it also contains the personal information of members, the resolutions approved by the board, the financial reports, the statute and the regulations of the e-club, the manual of procedure, the Rotary Yearbook, a space dedicated to the Rotary education, a photo gallery and an open space, where each member can directly publish themes and topics of interest for non-Rotarians. What are the main objectives of a Rotary e-Club? 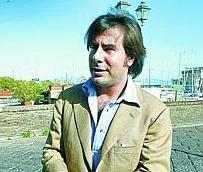 5. gestire i progetti di servizio. 3. Use the internet to facilitate meetings among members, even during the week. 4. Use the internet to for fellowship by creating a friendly community of like-minded Rotarians. 5. Use the internet to manage service projects. Is a Rotary e-Club considered a virtual Club? Absolutely not, because its members are "real" and its projects "concrete". The e-Club simply uses the Internet as a tool to manage the club and the projects. How do I join an e-club? The procedure is identical to that of the traditional Club.